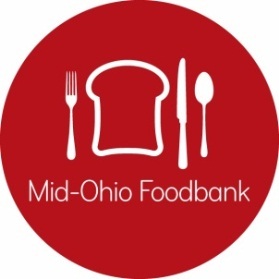 Mid-Ohio Foodbank works in community to connect our hungry neighbors with nutritious food, stabilizing families today while helping them access resources for tomorrow so they can thrive for a lifetime. Mid-Ohio Foodbank is ending hunger today, tomorrow and for a lifetime. We are leading the conversation on Food Is Health. We create and apply technologies, using data to innovate and inform our work.